Tick tock, tick tock… The countdown to Valentine’s Day is on! Time is running out, and it will be here before you know it. If you’re starting to feel panicky, don’t worry, we’ve got you covered. We love you, and we don’t want you to show up at bae’s house empty-handed. 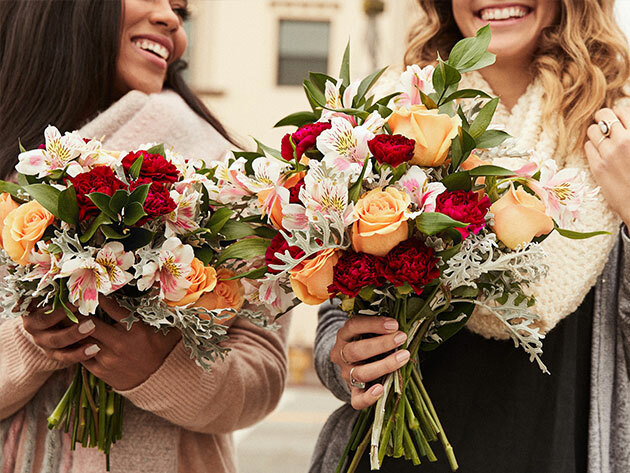 Because we’re feeling the L-O-V-E this year, we’re offering hard-to-pass-up deals on flowers that you can use to put a smile on your special someone’s face, may it be your mom, BFF, or significant other. Take your pick from these three options: $20 for $40 deal from Teleflora, $30 for $50 deal from The Bouqs, and $15 for $30 deal from Florists.com. With Teleflora, you can snag a $40 credit on any flower order for a measly $20. They have an extensive collection of first-rate assortments that you can give to your someone special. You can customize your order by adding other thoughtful gifts like stuffed toys, balloons and sweets. And the best part? Teleflora does away with crappy packaging. Your bouquet is presented in an equally beautiful vase to be enjoyed immediately upon arrival. On the other hand, the deal from The Bouqs grants you $50 worth of credit for only $30. What’s great about this company is they only carry eco-friendly flowers derived from sustainable farms in the U.S. and South America. To make sure that you get the freshest batch, all orders are cut and delivered to your door all on the same day! You can even get select orders in as little as two hours. And last but definitely not the least is a super sweet deal from Florists.com. For a mere $15, you get a $30 value that you can splurge on a variety of flowers, plants, fruit bouquets, and gift baskets. They have built a top-notch network of florists, bakers, chocolatiers and designers so you can rest assured that you only give the best gift to your special someone. But wait, how exactly are you getting your money’s worth in each deal? Let’s dive in, shall we? Teleflora is one of the only flower delivery services that not only fulfill their promise of a beautiful, handcrafted bouquet, but they also make sure to serve the gorgeous blooms in a complimentary vase so it can be enjoyed immediately. You can take your pick from their vast collection of premium flowers that run the gamut from classic roses and carnations to lush chrysanthemums and hydrangeas. They have a network of local florists across the US and Canada to curate and arrange stunning assortments for you using only the freshest flowers available. Since they have thousands of partner florists, same-day delivery is available on almost every order. You can even customize it further by requesting for other sweet additions like mylar balloons, stuffed animals, and boxes of chocolates. Not too keen on flowers? Teleflora also offers other shrubberies like succulents and zen gardens, as well as gourmet food baskets if edible gifts are more up your alley. 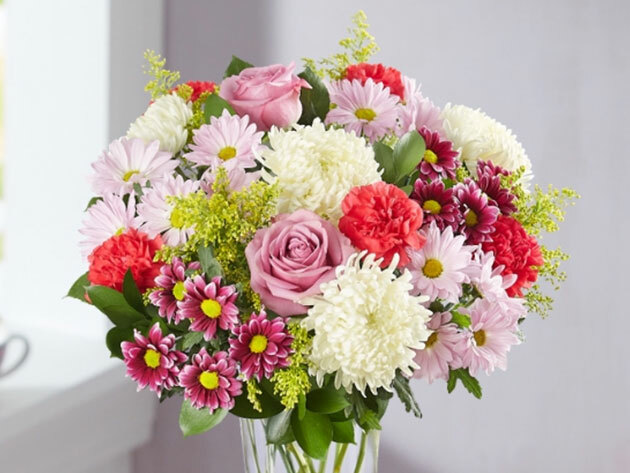 See it: Snag a $40 credit on Teleflora for only $20 at the US Weekly Shop! Nothing says “I love you and I care about you” more than an assortment of farm-to-table blooms sustainably sourced directly from eco-friendly farms located across the U.S. and volcanic regions of South America. Each order you place is cut the same day you want it delivered to ensure freshness, and the farms only cut what they intend to sell so there are no stems wasted. With such an extensive selection of flowers, you can snag arrangements that feature exotic blossoms or signature bundles of classic stems. Once you put in your order, you can schedule your delivery days in advance or have it arranged on demand and delivered by your friendly neighborhood artisan florist in as little as two hours. No more panicking and grabbing a wilting bouquet at the bodega! 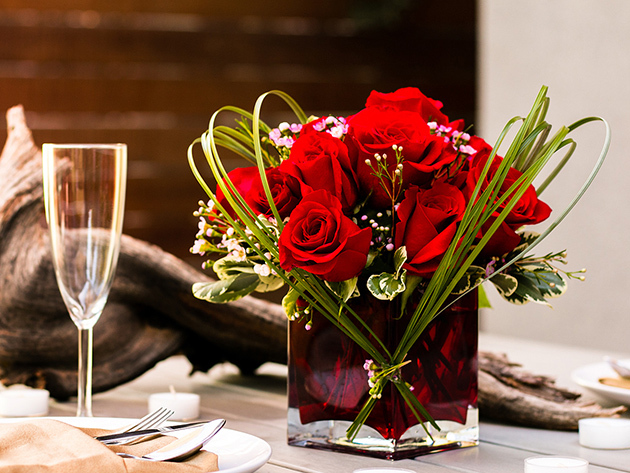 The Bouqs makes celebrating Valentine’s Day virtually hassle-free. See it: Get $50 worth of eco-friendly flowers delivered straight to your door for only $30. Affordability and reliability are at the heart of Florists.com’s mission. With a vast network of the country’s top florists, bakers, chocolatiers, and designers, they are dedicated to only giving you the best without piercing a hole through your pocket. They boast a massive selection of beautiful blooms, and with each order, you can opt to add balloons or chocolates. Flower bouquets not your style? Not a problem! Florists.com also offers a wide assortment of plants, gift baskets, cookies, and fruit packs. And their gift baskets aren’t similar to those that can be found from your local supermarket either. They have tea and teapot baskets, soothing spa kits (this, you can totally gift to yourself *wink wink*), premium chocolate baskets and a whole lot more. See it: For only $15, you get $30 worth of credit to spend on anything you want on Florists.com! The Shop With Us team may receive products free of charge from manufacturers to test. In addition, Us Weekly receives compensation from the manufacturer of the products we write about when you click on a link and then purchase the product featured in an article. This does not drive our decision as to whether or not a product or service is featured or recommended. Shop With Us operates independently from advertising sales team. We welcome your feedback at ShopWithUs@usmagazine.com\. Happy shopping!